Most firms have no idea that they have a revolving door that is bleeding diversity talent, because unexplainably, they don’t measure and report diversity turnover and the cost. But what if your executives knew that diversity turnover “was off the chart,” where “women were two times as likely to leave as men, while black and Latino tech workers were 3.5 times more likely to quit than white or Asian colleagues”? And your executives would be even more concerned if they knew that these painfully high diversity turnover rates were costing a large corporation tens of millions of dollars each year. As a result of this continuous talent drain, it really shouldn’t be such a surprise when your firm consistently fails to meet its diversity goals. After successful diversity recruiting at your firm, HR for some reason left out diversity retention, the critical follow-up program. I call this loss the “diversity revolving door.” This is the same phenomena that occur when you’re filling a glass, because you’ll never succeed if there is a hole toward the bottom that results in much of the liquid pouring out. And that’s exactly what’s happening with most diversity recruiting programs. You spend tons of money and management time to bring in diversity recruits only to have them leave because there was no formal proactive and targeted effort to retain them. Startlingly, you won’t easily find a single major corporation that has a formal diversity retention program. Instead, you will find only a diversity recruiting program that simply “drops new hires over the wall” and then essentially forgets them when it comes to retention. Yes, there might be a diversity office, but even though they are well-intentioned, they are often amateurs when it comes to retention. Instead, what is needed is a formal diversity retention program with a staff, a budget, and results metrics. A formal retention program is especially important when it comes to diversity employees, because by definition, “they are different.” And this difference makes it harder for them to assimilate as employees. And if new hires fail to assimilate because they become disillusioned when they don’t experience the emphasis on diversity/inclusion that they heard during the hiring process, they will almost immediately begin thinking about their departure. Diversity turnover harms business results — diversity turnover will directly hurt your customer service and product development results. Your workforce in customer and product impact positions will no longer reflect your diverse customer base. Diversity has significant business impacts; for example, one University of Illinois study showed that every added percent of diversity hires resulted in a nine times increase in sales revenue. Diversity turnover causes other turnover and diversity increases innovation — diversity turnover causes even non-diverse employees to leave. 84 percent of surveyed executives revealed that they know that a “lack of attention to diversity and inclusion contributes to employee turnover.” A loss of diversity will also likely reduce innovation; 95 percent of executives agreed that a “culture of diversity and inclusion contributes to innovation” (Source: Korn Ferry). A BCG study further found that there was a 10 percent increase in corporate revenue from innovation when the percentage of women in management jobs increases to above 20 percent. Diverse employees require attention because they are more likely to be poached — diverse professionals are always in high demand. But once you hire a diverse individual at a major firm, external recruiters will take note of them because they came out on top of an intense screening process. And this means that these individuals will be permanently on the target list of external recruiters. And if you don’t treat them as they expect, these targeted diverse employees will begin to listen to external recruiters and eventually leave. The assimilation of diverse new hires is difficult — because diverse new hires are different, it’s much more difficult for them to assimilate. And most firms have no special diversity onboarding subprogram covering the first six months to speed up that assimilation. They are likely to become quickly disillusioned or feel that they don’t fit in. And the same is probably true for international hires. Employee retention is essential if you want diversity at higher organizational levels — diversity has its greatest positive impact when it occurs at higher levels in the organization. Obviously, the diverse new hires in lower-level jobs can never be promoted and become senior people if they leave before there is an opportunity for promotion. And the same unconscious bias that reduces the chances during recruiting might also be present in the promotion process. Your managers may not be good at managing diverse new hires — there’s lots of help available to managers when it comes to diversity recruiting. However, there is almost no help available for how to manage and retain diverse employees. As a result, the new-hire’s manager won’t likely fully understand their unique needs and expectations. And without some form of personalized management, the diverse employee won’t likely be as effective on the job. This lower performance will frustrate them and make them more likely to quit. Diversity turnover will hurt your image and future recruiting — diverse professionals are well networked. Be assured that when a diverse employee is frustrated or if they quit, they will quickly spread the word to others. And if their friends, family, and colleagues assume that they were mistreated or lied to. The future recruiting at your firm of both diverse and non-diverse employees will be much more difficult. Diversity recruiting is so ineffective, that replacements will be hard to find — most diversity recruiting processes are driven by emotion rather than data. As a result, diversity recruiting processes are consistently ineffective. That means that finding replacements for diverse employees will be extremely difficult, expensive, and will require a great deal of a management time that could be better spent improving business results. I have written extensively on how to retain the general employee population. However, when you are designing a diversity retention program, the retention approach must be customized to the unique needs and problems of your diverse new hires and employees. Never “lump” diverse employees — if you expect to reduce diversity turnover, you must realize that it’s a catastrophic error for your retention effort to lump all diverse employees together. If you expect to reduce turnover, you can’t treat all diversity employees as a homogenous group. But you also cannot treat all employees of any single diversity group (i.e. race, national origin, gender, religion, etc.) as if they all share the same reasons for staying and leaving the firm. Although it is more difficult to execute, you simply must treat all diverse employees as individuals. Prioritizing flight risks is essential — it’s a desirable goal to keep every diverse employee. However, a broad, diluted effort might actually result in a higher rate of diversity turnover and greater business impacts. Instead, it makes business sense to prioritize your diversity retention targets. If your resources are limited, first prioritize your diverse employees based on their position, impact, and their performance. Within that group, you should next prioritize the diverse employees who are most likely to leave (i.e. become a flight risk).You will need to work with data scientists in HR to develop a predictive algorithm that will allow you to accurately identify when a prioritized diverse employee is close to becoming a flight risk. There also need to be a mechanism to alert their manager so that they can develop an action plan. Be proactive with personalized retention plans — understand upfront that all individual employees stay and leave for their own personal reasons. Diverse employees are no different. So rather than assuming that diverse group members stay and leave for the same reason, an individual effort is required. That normally means that each “targeted for retention” diverse employee should have their own personalized retention plan. That plan should avoid “broad-brush” retention actions. Instead, it should focus on identifying and reinforcing the reasons that these individual employees stay and the frustration factors that might cause them to leave. The PRP should include regularly scheduled “stay interviews,” as well as planned opportunities for more freedom, challenge, growth, and recognition. Stay interviews are the No. 1 most effective diversity retention tool — if you expect to make a significant dent in turnover, act before your retention targets lower their engagement even one level. “Stay interviews” are the easiest to administer and the most effective action for reinforcing the reasons why employees stay. These one-hour meetings held at least twice a year between the manager and each of their retention targets simply try to identify and reinforce the positive reasons that keep each individual employee at the firm. Use post-exit interviews to accurately identify the causes of turnover — for each of your prioritized diversity employees who leave, schedule a post-exit interview. An exit interview conducted by an outside firm provides more honest answers as to the actual causes of turnover for this individual. The pressure of needing a good reference from your manager has dissipated. Add a diversity onboarding option — effective onboarding is essential for retention because “90 percent of employees make the decision to stay within the first six months” (Source: Aberdeen Group). Most onboarding processes are not data-driven, and as a result, they are not very effective. In addition, because diverse employees are different, they require a tailored version of onboarding. Their onboarding should be focused on the initial assimilation problems faced by previous diverse new hires. They should also be provided with a mentor and there must be a mechanism for helping diverse new-hires to build their internal network among both diverse and non-diverse employees. Take steps to minimize unconscious bias after they are hired — we now know that unconscious biases negatively impacts diversity recruiting results. However, once they join the firm as an employee, those bias problems continue. So HR must work to first identify and then minimize those subtle biases when it comes to work assignments, performance appraisals, and promotions. Measure and reward managers for developing and retaining diverse employees — it’s well-known axiom in business that whatever you measure gets done and whatever is rewarded gets done faster. Therefore, if you expect executives and managers to fully support diversity retention in recruitment, make it part of their KPIs and promotion and bonus criteria. This measure and reward approach has worked extremely well at firms like Intel, which reduced its diversity turnover to below the company average. Create a diversity alumni network to facilitate boomerang rehires — retention efforts shouldn’t end when a diverse employee leaves. Instead, there should be a “diversity alumni group” for former employees. This alumni group can support diverse current employees but it can also be used to keep in touch with diverse alumni in the hope that they might someday return to the firm. Support diversity affinity groups — if your firm has affinity groups focused on diverse employees, it makes sense for the diversity retention effort to closely work with them in order to ensure that diverse employees feel that they are a member of a community. Anyone who understands business processes knows that a front-end process, like diversity recruiting, can’t have a long-term business impact if the follow-up backend process, diversity retention, isn’t equally as effective. Unfortunately, in this case, there isn’t a formal backend process that fights to keep the successfully recruited employees after they start. 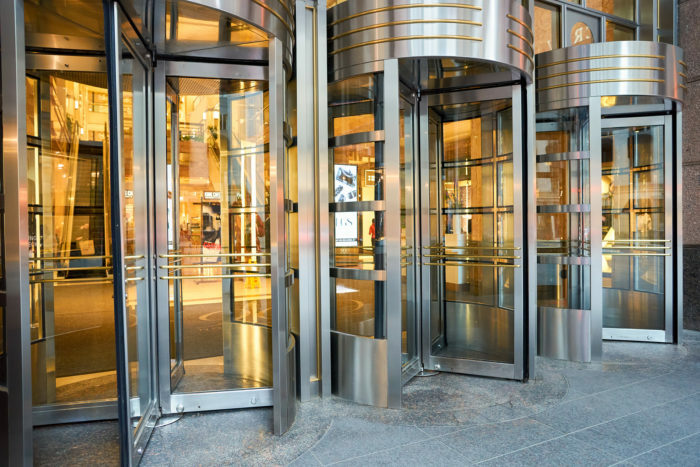 And with all of the recent evidence highlighting the tremendous positive impact that a diverse workforce has on business results and stock value, it is especially painful to suffer from what can only be called “a revolving door” for diverse employees. And those tremendous business impacts makes reducing diversity turnover not just “the right thing to do,” but also a business imperative. If you found this article to be helpful, please follow me on LinkedIn.